(TibetanReview.net, Apr11’19) – Several hundred people held a demonstration as Chinese Premier Li Keqiang led a delegation to this year’s EU-China summit in Brussels on Apr 10. The human rights campaigners wanted the European Union to be more vocal on the deplorable rights situation in Xinjiang and Tibet. The EU has called out China on human rights abuses at the summit but human rights campaigners wanted the bloc to be more vocal on Xinjiang and Tibet. 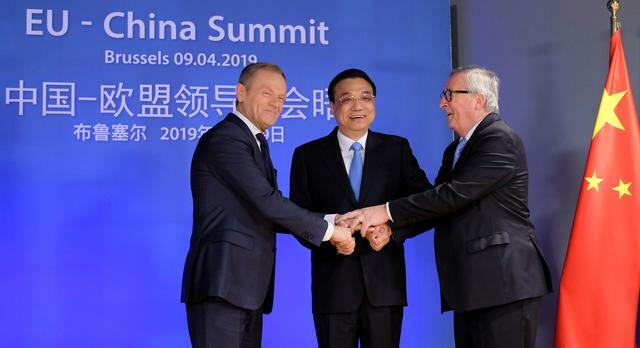 As the demonstrators protested a few hundred metres from the site of the summit, European Council President Donald Tusk said the union raised human rights with China, but he did not say which issues were brought up, reported scmp.com Apr 10. “As I have stressed many times before, human rights are, from our European point of view, as important as economic interests,” Tusk was quoted as saying. A joint statement at the end of the summit said that human rights were discussed and a commitment made to continue their annual human rights dialogue. This year’s rights dialogue took place last week, with the EU having been reported to have raised concerns about the freedom of religion and minority rights in Xinjiang and Tibet. During the protest in Brussels, demonstrators were reported to have chanted slogans calling on China to “close the camps” – a reference to mass detention centres in the western province of Xinjiang – and for an “independent EU”, hoping Brussels would not be soft on human rights at the expense of economic interests. 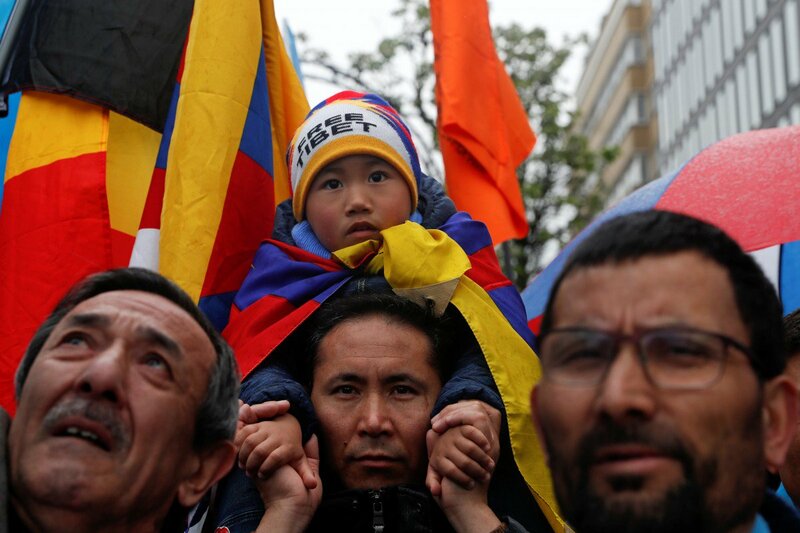 Representatives of the groups attending the protests said the EU needed to take a clear stand against a deteriorating human rights situation in China, particularly in the contested regions of Tibet and Xinjiang, the report said. Jo Leiden, president of the EU parliament delegation on relations with China, has called human rights issues an “open wound” between China and the EU. China’s official media only said the two sides confirmed their shared commitment to further strengthening their partnership and safeguarding free trade and multilateralism. Both sides reaffirmed their commitment to boost their comprehensive strategic partnership for peace, growth, reform and civilization based on the principles of mutual respect, trust, equality and mutual benefit, by comprehensively implementing the China-EU 2020 Strategic Agenda for Cooperation, reported menafn.com Apr 10.